Really, what’s left to say? I can only continue to applaud the utter brilliance that is Tiffany Reisz. In Nora she created my absolute favorite female character, there’s no other female character that comes even close. She’s definitely one of those characters that you wish would actually exist so that you can be her friend. 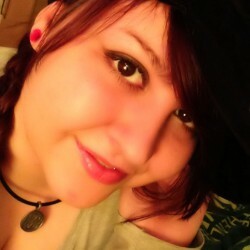 She’s snarky, sarcastic, utterly perverted and funny as hell – really why wouldn’t you want her as friend? I can’t think of a single reason. I really enjoyed the glimpses in her sessions which ranged from heartwarming to weird to extremely hot to terrifying. I have to say though that Kingsley was my favorite, especially with what we know about his background. We know why he craves the pain, even though if he probably wished someone else would deliver it and it broke my heart a little. Robert and Cara’s session come as a close second though – such an easy solution for such a huge problem. And once more I saw how easy Tiffany Reisz made it for me to feel along with every character she introduces to me. 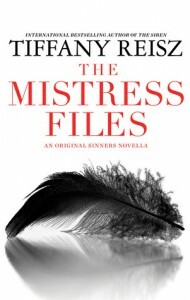 I’m honestly not sure how I’ll survive till 30th July to read the Mistress.